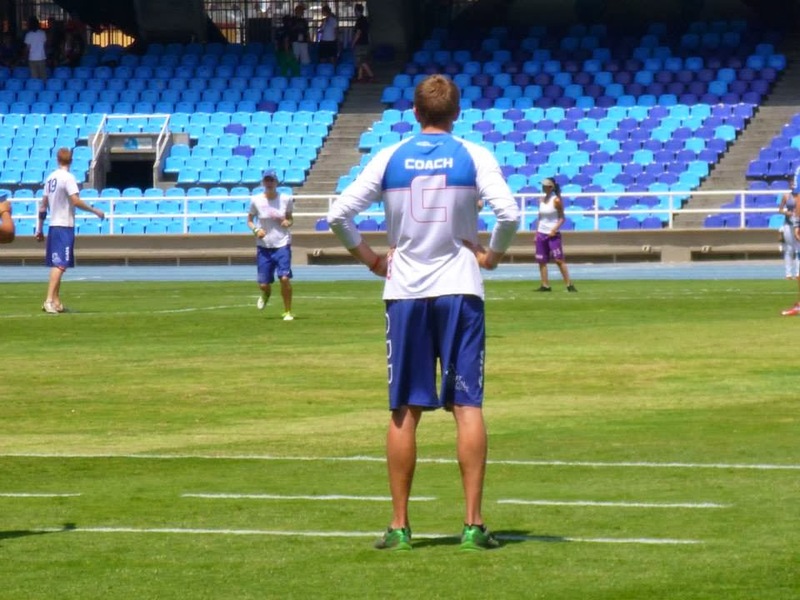 The ShowGame reports on a test run of Flik – a new coaching tool for Ultimate. From the minds of Sion ‘Brummie’ Scone and Richard ‘Pringle’ Taylor comes Flik – an Ultimate coaching tool that hopes to help us get the most out of our training sessions. Flik offers an online internet based service that contains all of the coaching theory and visual aids to help you learn, design, and plan sessions, and a counterpart smartphone app that allows you to take all of this planning out on to the field. 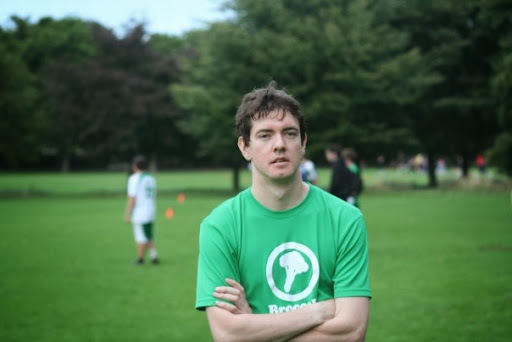 The skill sets being married behind the scenes are Brummie’s extensive coaching and playing experience (complemented by a healthy interest in dissecting the styles and plays of elite Ultimate) and Pringle’s expertise in design and presentation, as shown by his work at openbracket(ultimate). The timing is apt with the growing focus on coaching in the Ultimate community, yet with little to offer in terms of technology to help us get the most out of our teams. The session we ran was teaching the ‘Cyclone’ offence of the famous Japanese club and National team, Buzz Bullets. We had a small group of players who had no prior use of the session material, or knowledge of the style. Taking cues from an accompanying theory chapter and suggested plan, we ran a short theory chat followed by a progression of three drills, gradually building up from a very simple ‘away and under cut’ to a complex multi-staged cutting drill in the Japanese style. Using the app on the field. What was immediately clear by the end of the session was that we had made significant steps towards playing in a new style, and run an overall successful session whilst doing so. The progression through the various stages of the drills (and the theory backing them) pushed us into trying the new and contrasting way of playing, as we adjusted our play to achieve success in the drills. Reading through foundational material beforehand gave each aspect of the session a solid base, and provided a full context of the reasons behind the particular directions (why to cut in a specific way, what sort of pivoting action is needed). This was certainly worthy of the extra preparation time that it demanded. As an example, in our Cyclone drills we were directed to hold the disc in a pivot directly away from the endzone we were attacking. This created a larger threat of the ‘around break’, which if covered by the force then allowed an even easier ‘inside-out’ throwing lane. Both of these break throws helped us to succeed at the drill, and whilst the pivoting style felt awkward to most at first, it proved insightful both for the drill and for players to take elsewhere. Given the relatively simple setup of these drills (which were largely based on offensive cutting and throwing), it was impressive to see such a development across a short session. The depth of the theory showed through from the beginning, and is clearly going to be one of the key strengths of this project. The Kickstarter campaign understandably focuses heavily on the usability and graphic elements of the online and app service, and this is another strong feature of Flik. Drill diagrams and in-depth explanations of how and why to do the exercises mean that a clear vision can be created of the training plan well in advance. We saw a lot of potential for further developments here: moving drill diagrams (perhaps even controlled by a slider); dynamic diagrams with move-able icons. Given the tone of the Kickstarter and its emphasis on community driven testing and development, it seems realistic that these kinds of improvements could be realised. Speaking to Brummie after our use of Flik, he certainly seemed open to these sorts of developments and this approach will only benefit the project. A drill diagram used in our Cyclone session. Something we did find was that, as pretty as these visual tools may be, it was slightly trickier for us to show them off on the field, and it was here that we found some initial limitations to the app side of Flik. Using a single phone to visually demonstrate was difficult in a group of six players, and would be unfeasible for a larger session whether elite club (20+ players), or university clubs where attendance could realistically be over 50. Use on a tablet would offer one option for those who can, however there is also the practical issue of expensive technology being exposed to the elements (rain being the obvious issue here). Flik doesn’t necessarily provide an alternative to the tradition of water-bottle-and-cone diagrams, then. But by placing the emphasis on session planning in advanced and also offering a way for coaches to share these plans with players, it could form part of a larger solution. If players can use Flik to learn this theoretical material before the session, this only creates more time to drill what they have already learned. This leads us to our final impressions of our Flik field test, which is that it is already a very good (and potentially fantastically deep) resource for budding coaches and players alike. It still requires a well executed coaching (and coach-ability) performance from those running and attending the practice, but could even contribute towards the learning of this as well. We were using a very early version of Flik which will be much changed and developed as a final product, which the Kickstarter does mention will feature a ‘Coaching Ultimate’ section. Hopefully this will provide direction on the ‘how’ to run your session, as well as just ‘what’ you should be doing as without this focus some users may find it difficult to truly utilise the deep knowledge on offer. For a team captain or coach, the premise of having an easy and attractive visual way to plan drills and compile sessions is both an Ultimate nerd’s dream and a potentially radical way of altering how organised our approach to training is. Getting this visualised training plan out to the players will be another challenge as Flik is developed, but if it can be achieved and taken on by its target users then it could become a very powerful coaching tool, as well as just a slick way to plan and communicate your sessions. The Kickstarter page explains the collaborative intentions of Flik between producer and consumer. It has already had input from an impressive list of coaches and players, and many of the donation gifts include the ability to be involved in its production. It is clearly a project from within the Ultimate community, built with this community interaction in mind; it is appropriate then that it will require the community to get it out of the planning stages and into a reality. The openness to such feedback is quite a claim, but if carried out could very effectively draw upon a vast amount of Ultimate minds, and this built into the already polished work of Pringle and Brummie could turn out to be something very impressive. Check out the Kickstarter page here – and see what you think for your self. The campaign has been strongly backed so far but ends on Saturday 20th June (11 days at time of writing!) so if you want to make Flik a reality, then get involved! Thanks must go to our field testers: Sam “Bunny” Brown (Fire of London), Alex Cragg (GB/Fire of London) and James Ward (Flump). tSG: Let’s start with the basics: what is your vision for Jen, who are you hoping will get involved, and who are you hoping will benefit? SB: Firstly, we hope that every Ultimate player in the UK who fits the basic criteria will apply. We want those with existing outstanding athletic ability but also, more importantly, those with the potential and desire to improve that. We are looking for strong Ultimate players with exceptional physicality, competitiveness and athleticism. Alongside this, it’s important that we take on those with a strong mentality, positive attitude and good spirit. These are the players that will make up Jen. We are confident that the training schemes and facilities will benefit all those who attend a trial or training session. 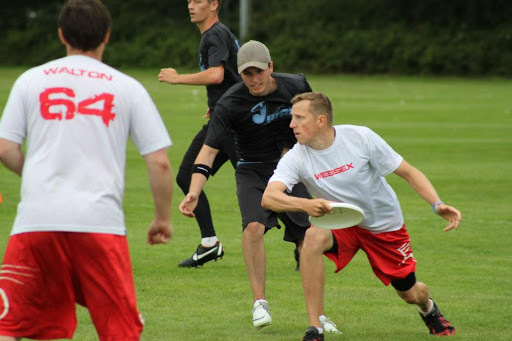 We are trying to raise the profile and ability of youth Ultimate in the UK, which we believe is important for everybody in the Ultimate community. tSG: What inspired the creation of the team, and why do you feel the need to do something different? SB: It’s important to note that we are not trying to distance ourselves from the fantastic GB Junior setup, which we have all gained very positive and valuable experiences from. 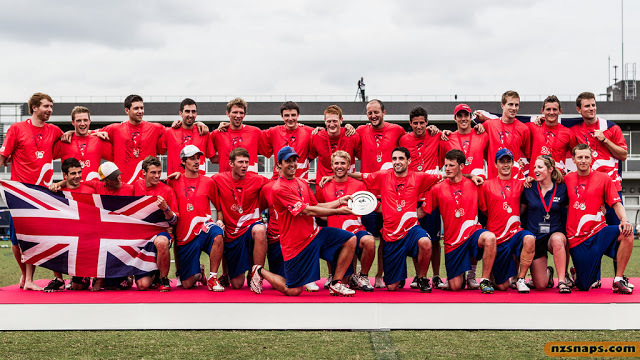 same Great Britain Junior Teams for the last 3 years, including two World Championships. Collectively, we have had experience of playing against almost every nation within that age category and we understand how Great Britain competes amongst them. There are many intricacies that make us better and/or worse than those nations. However, we realised that a number of teams were a lot more ‘athletically-driven’ than ours and this made a huge impact at big tournaments. We found ourselves trailing our man, being bullied on the mark and being outpaced or outbid, particularly towards the end of tournaments. We appreciate that this is not the only reason for our losses, but have identified it as a reparable weakness in our game. This is one of the things that we are trying to address with Jen. Another area that we are addressing is the strength of the player base in the UK. We are aiming not only to get more players involved in the game, but to retain and develop those with enormous potential to compete at the highest level. Jen aims to provide support to young players that don’t receive the recognition or development that they might get a top club team. Jen will place particular emphasis on players who haven’t had this calibre of training in an attempt to improve individual player standards, but also club team standards across the country. We hope that the knowledge and experience these young players will gain from Jen can be transmitted to other teams across the UK. The long term goal being that teams get stronger, tournaments become more competitive and the overall standard of Ultimate in the UK grows stronger and stronger. tSG: Will the team always stay below a certain age, and if so will the founders leave when they become too old? SB: Every new player we take on will be between the ages of 18-25. We were initially looking at inviting players below the age of 18 but we have had some issues with insurance. This is something that we are still looking into though, especially after the recent success of the GB u17 Open squad in Cologne. We cannot say whether players will move on once they become over the age of 25 as, to be honest, we really don’t know. What we do know is that the emphasis and development focus will always be placed on the young talent within Jen. tSG: How often is the team going to train, and why are do you think these trainings will be more productive than the geo – trainings they will replace? SB: The whole idea of Jen is that it is manageable from a player perspective. We understand the costs, time and effort involved. We do not want to lose out on talent because of these factors. Equally, we are not trying to compete against the UK’s club teams, so trainings will be on a monthly/two-monthly basis. Although there will be costs involved for the initial trial (due to the facilities and equipment necessary), we are looking at free venues around the UK for future training sessions. In the run up to competitions, we will select a team from our training squad and will perhaps look at training more regularly. We will liaise with club and national teams to determine suitable training times, locations and systems. A lot of the training programme will involve personal training, and we have qualified individuals to assist us with this. Whilst we are insistent to make geo-trainings work, Jen will place an enormous focus on getting the whole squad together for team trainings. 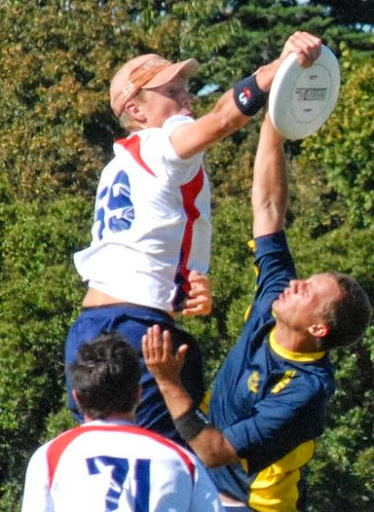 We want to create a positive and competitive team environment, whereby the best young athletes in the country can push each other to improve the level of every individual, the team and UK Ultimate. Sam Bowen captaining GB Open at the recent World Under 23 Championships. Photo courtesy of Nancy Rawlings. tSG: Arguably GB ultimate is behind both in terms of athleticism and other aspects of the game, including simple skills. Does this team not propose an overly a simple solution to a complicated problem? of Jen will be instant. Instead, we are trying to continually raise the profile and standard of Ultimate in the UK, particularly amongst our young talent. We envisage that the best way to do this is to produce and develop an elite squad of Ultimate athletes from the young players in the game. Jen will not focus solely on athleticism and physicality, but also Ultimate skills and techniques. There is also an argument that in improving players’ fitness (both endurance and strength), it will assist the throwing skill base. There has been some criticism on focussing wholly on athleticism, which as discussed, is not the only sporting aspect that Jen aims to improve. However, as players get stronger they will be able to put their bodies in better positions to produce more accurate throws. Perhaps more importantly, they will be able to maintain the quality of play and skill throughout a tournament, reducing a lull in standard that can often occur towards the end of a competition. tSG: How do you plan on the players balancing Jen training times around other teams, both domestic and international considering the upcoming GB cycle? understand if players have existing personal programmes and it is important that they elect one that is suitable, comfortable and manageable for them, alongside their normal club training. Jen will never take priority over National duty, nor should it as we believe playing for Great Britain is the pinnacle of your Ultimate career. It is important that the training at Jen works alongside that of the National team. We have already liaised with GB Junior Coaches to make this work, and will continue to do so. We hope that Jen helps our National selectors to identify young talent, whilst continually raising the level of our junior outfit.With regard to club teams, the maturity to train and improve comes hand-in-hand with the respect and understanding from the leadership team. We will trust our players to make the decisions best for them and we will respect those decisions. We will have a large and competitive training squad to cope with absences, but those who have missed out will be expected to catch up. tSG: How do you see this interplay between Jen and the players’ club teams further down the line? SB: We hope and expect it to be extremely positive for both sides. Jen is not a tour team and plans to operate on its own cycle. It is not our aim to ‘steal’ any player, only to help young players improve. A number of our players will be competing at World Clubs this year and it is not our intention to distract them in their preparations. We hope that we can work alongside all teams to help increase the standard of Ultimate in the country. We will seek advice and training from some of the best in the game to help Jen be successful. The team will not be lead or trained by the founders alone. Jen will learn and develop together to improve our own ability and potential. We hope that we get the support from Club and National players, coaches and teams to make this possible. tSG: People are not unreasonably making comparison between this and the recent US NexGen project – is it related to this or inspired by it in any way? SB: Jen is not affiliated with NexGen, and nor are we attempting to completely emulate it. Admittedly, a European NexGen-type Tour is something that we’d like to achieve within 4 years. I think every young player in the game should be inspired by what NexGen have managed to accomplish. 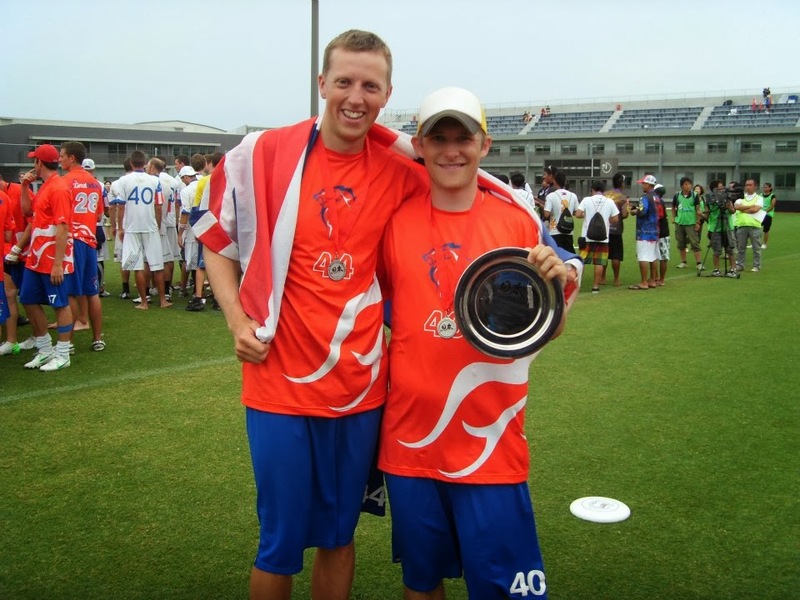 It has been a fantastic project, which has raised the level of Ultimate in the States, but also increased the coverage of the sport worldwide. We have certainly been inspired by the results that NexGen have achieved and the level of Ultimate that they are playing at. At the moment, they are unrivalled by any other ‘junior’ team in the world and it is no coincidence that the USA Junior squads have been unbeaten for so many years. Jen will attempt to have the same impact on the UK’s junior setup, by lifting the athleticism, playing standards and competitiveness of its young players. Like NexGen, Jen will require the support and competition from the best club teams in the UK. 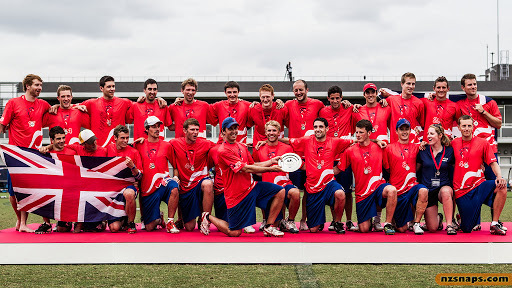 We hope that together we can lift the standard of UK Ultimate and continue to improve our performance on the world stage. tSG: And Finally – The question that everyone wants to know the answer to – what does ‘Jen’ mean? SB: Jen does not mean ‘NexGen’ or ‘generation’. It doesn’t refer to a particular person or expression. Jen is all-encompassing. Jen is everything.